As happens with scrapbooking, you are likely to become bored when you start practices quickly. However, it will only be a matter of time before you start to experience with the more advanced techniques to make your scrapbooking projects much better. The more one uses these techniques, the easier they will become. In this post, we tell you some of the tricky scrapbooking techniques to start with. You can use these extra materials to come up with their own mosaic style. Just take all the scrap pieces and then have them cut into small pieces. After that, glue them into a mosaic. For an even greater effect, try gluing them onto a sheet of paper with a contrasting color. By ensuring that you save all your scraps, you will realize that you have a limitless supply of mosaics that you can work with. The technique involves creating a small scrapbook that is similar to a matchbook. Upon being opened, the matchbook displays a tiny picture as well as all the details you added. These are minute-sized scrapbooks but which offer wonderful results. A computer makes it easy for you to shrink your pictures to the size of a matchbook to make them fit perfectly within the tiny borders that you’ve set for them. Embossed foil elements isn’t as hard to produce as some people think. All you need to do is to find an image that you like, and it’s preferable if it has simple lines or even choose lines that will make the image for you. Ensure that the image you have chosen is small enough to be placed onto a page of a scrapbook. Have the image glued to the craft foil after which you should place it all on a smooth surface for instance a mouse pad. Using a ball point or a stylish pen, draw the image outline on the image. This transfers the image onto the foil. With great care, cut the image out of your foil. You can choose to leave the image as is or even fill the indented part with white glue. Allow it to dry and this will preserve the embossed image. Shrink charms are a great way of recycling something you got from the deli or a salad bar and add it to your box to get advanced scrapbooking technique. Take your plastic containers and use them to create charms which you then clip or glue to your pages. Just cut out a larger piece of plastic and then decorate it with a permanent marker. In case you want to hang this charm, just punch a whole using an ordinary hole punch at the top. When it’s dried completely, bake it on a parchment paper set on a cookie sheet for a couple of minutes. This should be inside a 250 degree oven. When you notice that the pieces have stopped twisting and have settled down to a flat charm, you know the shrink process is over. 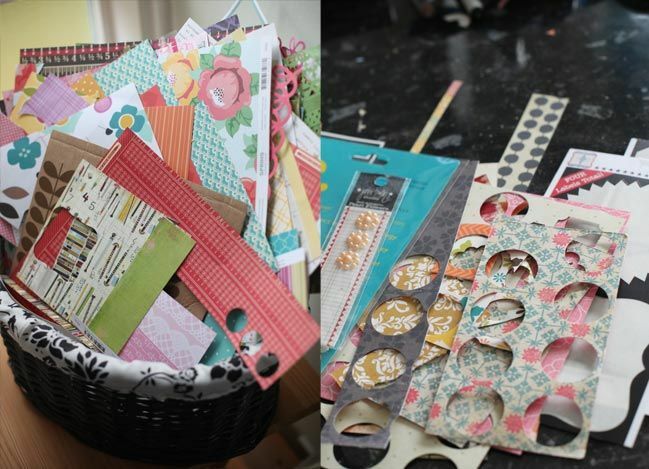 ← What are the basic skills you need for scrapbooking?